From the spectacular tropics of lush greenery and pristine blue waters to the mountainous landscape fringing the region, golfing in Thailand has spiraled in popularity, not just with locals but with the international golfing travel scene as well. 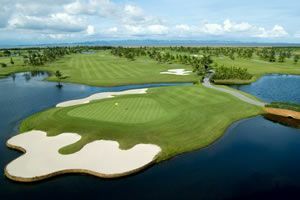 A growing list of highly sought-after Thailand golf courses is coming up to entice golfing enthusiasts to visit the region –– for play and pleasure. A Thailand golf holiday is perhaps one of the most spectacular choices in the world thanks to stunning jewels like Chiang Mail, Phuket and Hua Hin –– offering an unbeatable combination of picturesque backdrops and world-class golfing facilities. Chiang Mai is a top travel destination for avid golfers look for an eclectic mix of delicious food, lively dancing and excellent golf courses. Chiang Mai offers two courses –– Alpine Golf Club Chiang Mai and Chiang Mai Highlands –– two of the most ideal golfing clubs that offer accommodation to complete your Thailand golf holiday. You may also want to consider other desirable golf courses in Chiang Mai, The Royal Chiang Mai GC and the Mae Jo Golf Resort. Accommodation options on golf courses are usually always available and the type of accommodation ranges from budget to luxury for all golfers. Hua Hin is a mere three-hours away from Bangkok and is the holiday getaway of the royal family — giving the region an aura of regality. Apart from providing the best golfing experiences, Hua Hin also has a multitude of food, dance and shopping selections for those who enjoy living it up in every possible way. Hua Hin golf courses are especially popular, housing world-class courses like Black Mountain GC and The Banyan GC, both of which offer excellent layouts with modern style. Hua Hin also houses the award-winning Springfield Village Golf & Spa and Majestic Creek, a subdued jewel constructed near beautiful rice fields. 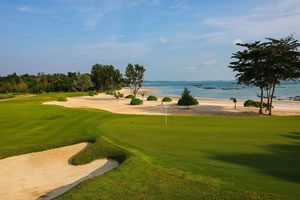 Golfers in Hua Hin would also love to avail of the exceptional facilities provided at the Army Sea Sport Centre and the Sea Pine Course. Most of these courses provide accommodation for golfers who want to live close to the action. Luxury rooms and villas are available at Black Mountain and The Banyan. Phuket is a major tourist attraction in Thailand with a ubiquitous golf scene reminiscent of major international hubs. 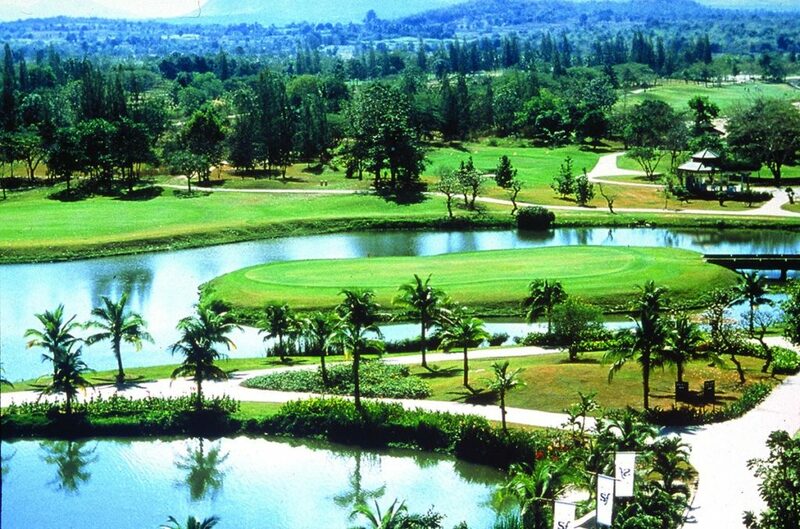 Apart from the pristine beaches and sunny outlook, the Phuket golf courses are well worth exploring. The Blue Canyon Golf Course has been one of the leading golf destinations across South East Asia for several years thanks to Yoshikazu Kato’s grand design. Celebrated for Tiger Woods prowess in the 1998 Johnnie Walker Classic, The Blue Canyon GC remains a highly sought-after golfing destination in Thailand. Red Mountain Golf Course built in 2008 on the top of a mountain is another spectacular golf course with stunning visuals and fabulous layouts. Mission Hills Phuket located right near the beach and the Resort-course Laguna Phuket GC are worthwhile choices for avid golfers who seek to combine their vacation with this beguiling sport. Thailand golf resorts like Laguna Phuket and Banyan Tree Phuket offer luxury accommodation, allowing golfers to dually benefit from posh living and plush green courses. Choosing any of these destinations will make your Thailand golf vacation truly memorable. Log on to Golf Asian for a variety of golf holiday packages to meet your budget and needs perfectly.